In the spring of 1912, F.A. and Gertrude Seiberling traveled to England, along with their adult daughter Irene and New York architect Charles Schneider, to seek inspiration for the Tudor revival-style home they were planning to build six miles northwest of Akron. The founder of Goodyear Tire & Rubber Company and his family had completed a tour of some of the oldest manor houses and castles in the country and were scheduled to return to America on April 10 aboard the maiden voyage of a fabulous new luxury steamer leaving out of Southampton bound for New York City. Just before departure, their British guide suggested they delay their return in order to visit a 300 year-old manor house that was being razed not far from London. Sir Walter Tyndale, a notable European painter and illustrator, had helped them to gain access to many fine estates that were not ordinarily open to the public and he felt this particular home, in the midst of deconstruction, would give them unique insights into the underlying framework of a typical English structure from that time period. The Seiberlings heartily agreed and delayed their travel plans as a result. Imagine their stunned shock when, days later, headlines of the London newspapers screamed of unprecedented tragedy in the North Atlantic. The Seiberlings had originally been booked to return aboard the Titanic and they owed a debt of gratitude to Sir Walter’s last minute suggestion that turned out to be providential for many reasons. 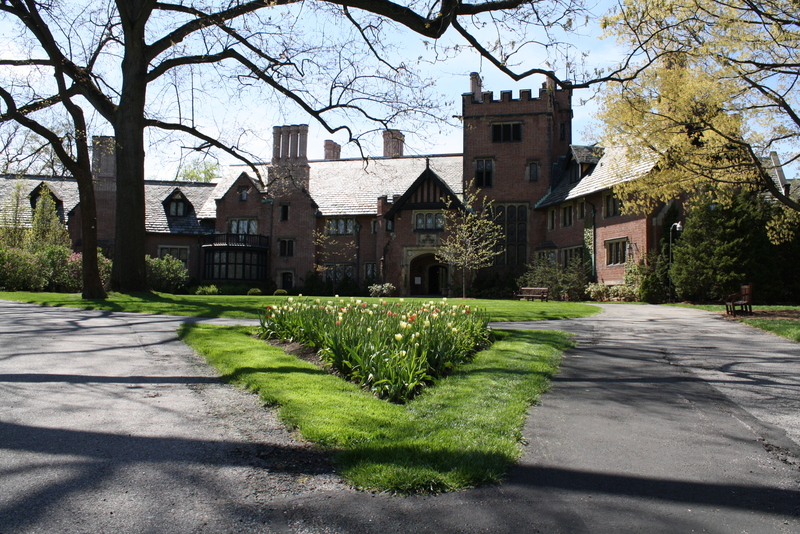 The decision to extend their trip not only may have charted a new course for the fate of the Seiberling family, but also the completion of Stan Hywet Hall & Gardens and the legacy that would include future conservation efforts of the natural spaces within the Cuyahoga Valley corridor between Akron and Cleveland, and millions of acres of wilderness in the western states and Alaska. The Seiberling entourage returned home later in May aboard the RMS Lusitania to begin work on their family home that would prove to be a flagship of a more durable sort. The Seiberling family has been connected to the land since Nathan Seiberling brought his family to Summit County in 1831. He prospered in the growing community and fathered 15 children. His oldest son John Franklin possessed similar entrepreneurial spirit and became an inventor and manufacturer of timesaving agricultural equipment. John Seiberling’s mower-reaper invention allowed for an increase in productivity to meet the demands of the Civil War, despite the loss of farmers and laborers who served in the army. In 1865, Seiberling moved his operation north to Akron, where good rail and canal service greatly enhanced distribution capabilities. By the last decade of the 19th century, he had become the richest man in Akron. John Franklin had eleven children and two of his sons, Frank Augustus (F.A.) and Charles W. inherited their father’s business acumen and became involved in the family enterprise. Unfortunately, the farm machinery company was a casualty of the severe depression of the 1890’s. However, F.A. rebounded from this temporary setback and decided that the rubber tire industry had greater potential. In 1898, he founded Goodyear Tire & Rubber Company, named for Charles Goodyear who invented the vulcanization process – the hardening and strengthening of rubber – in 1839. As popularity of the automobile skyrocketed, so did F.A.’s income, reaching $3 million per year by the late 1910’s. A variety of factors played a role in the Northeast Ohio’s rise to prominence. Strategically positioned on the Great Lakes, the area provided easy access to an abundance of natural resources, and improved transportation infrastructure placed the cities of Cleveland and Akron at the epicenter of industrial innovation. Rapid economic growth after the Civil War brought about a convergence of business genius that contributed to a surge of unprecedented wealth for a select group of entrepreneurs. Men like Henry Ford in Detroit, John D. Rockefeller in Cleveland, Andrew Carnegie in Pittsburgh and Seiberling in Akron, saw the long range potential for new products and services in post-war America. They were a fellowship of fierce competitors, determined in their pursuit of financial success and influence. These men operated on a grand scale, thriving on the risk and excitement of business interests, as well as enjoying the rewards of luxurious living that their business success provided. They were famous for throwing extravagant parties and building palatial homes. The Seiberlings, however, were determined to build more than just a rich man’s showplace. They wanted to create a gracious gathering place for family, friends, and industrial, cultural and political figures of the time. F.A. began to accumulate property in an area he explored as a youth and eventually amassed a huge parcel of land six miles northwest of the city, atop one of Akron’s seven hills overlooking the Cuyahoga Valley. His wife, Gertrude, enrolled at Buchtel College (now the University of Akron) and took courses in interior decorating, landscape architecture and other related courses in preparation for the project. After considering a wide variety of proposals including an Italian villa, a colonial farm and even a French chateau, they chose to build a Tudor revival-style country home recapturing the spirit and quality of medieval craftsmanship, rather than replicating some of the opulent styles that had come to be associated with the Gilded Age. They named their new home Stan Hywet (pronounced HEE-wit) meaning ”hewn stone ” in Old English, originally chosen because there was a sandstone quarry on the property. When the construction of Stan Hywet Hall was complete, it was the largest home in Ohio measuring 64,500 square feet and included more than 65 rooms, 23 bathrooms and 23 fireplaces. In keeping with their commitment to health and physical fitness, they also installed an indoor swimming pool known as the “Plunge”, a four-hole golf course, walking and horseback riding trails, two tennis courts and an indoor gymnasium and bowling alley in the basement. The Stage just outside the great Music Room where outdoor performances were held for friends and family. Remarkably, each room was designed to be unique, decorated with the finest antiques and furnishings from around the world. The Music Room with 18-foot-high molded plaster ceilings, crystal and amber chandeliers and fine oak paneling was the place where the Seiberlings hosted grand parties and family gatherings. On a stage at the far end of the room, they entertained guests with Shakespearian plays, concerts and recitals. The South Terrace doors extended the room outside and into the surrounding gardens. The exterior living spaces were impressive in their own right. Architect Charles Schneider worked closely with the renowned landscape architect Warren Manning, whose extensive knowledge of horticulture and plant specimens was also utilized in such notable projects as the Chicago Columbian Exhibition of 1893, the planting design of George Vanderbilt’s Biltmore Estate and William Gwinn Mather’s Gwinn Estate in Cleveland’s Bratenahl Village on the shoreline overlooking Lake Erie. Both men paid close attention to architectural details to ensure the elements of nature were experienced around the home, and also from within. The position of doors and windows, even the position of the house itself, set in accordance with the summer solstice, ensured maximum appreciation of nature. 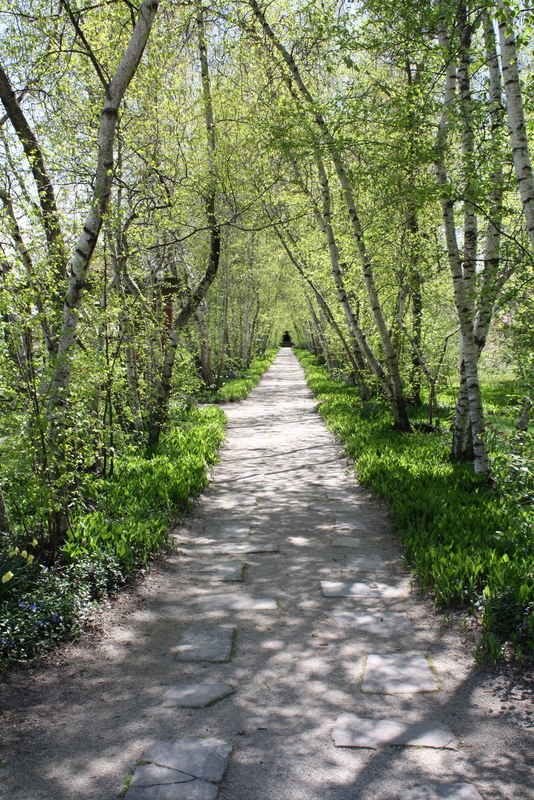 A 550-foot long birch tree allée was designed to connect the north end of the manor to twin Tea Houses that overlooked the Lagoon, where the Seiberling family would swim, fish, and canoe in the summer months, and ice skate in winter. A corresponding London Plane tree allée extended south, leading to a stone underpass that connected to an area known as the Dell, where a rim of rock ledges formed a natural amphitheater amid a clearing in the old-growth forest. Directly behind the house, a winding Japanese Garden descended the bluff and a walled English Garden was designed and installed by the legendary Ellen Biddle Shipman, described by Manning to be “one of the best, if not the best flower garden makers in America.” Shipman worked with Gertrude Seiberling to create a hidden garden reminiscent of the classic English children’s novel, The Secret Garden by Frances Hodgson Burnett. When completed, it was said to be Gertrude’s favorite refuge and the place where she went for solitude, and to spend time with her children. 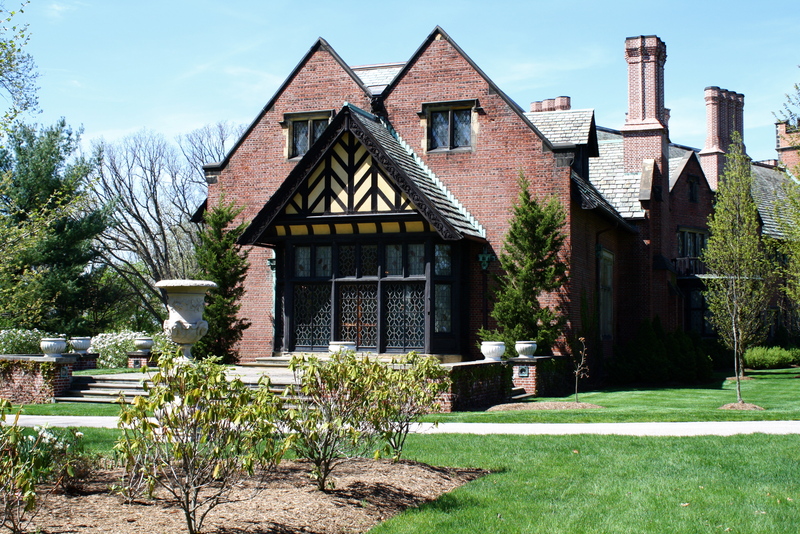 Manning designed many other structures to support and complement the estate including a Carriage House, Gate Lodge, and a Gothic-style Conservatory, used for fruit and flower growing, as well as a green retreat during the long winter months. Mr. Seiberling once insisted, “We will have in our new home something for everyone no matter on what plane they approach it, whether physical, intellectual or spiritual.” True to his word, F.A. shared his new home with extended family, a circle of community friends, business associates, political figures and dignitaries from around the world. The period from 1910 to the early 1920’s was characterized by social, economic and political unrest that challenged traditional notions of class structure. During this time, the city of Akron had tripled in size and poor planning led to the construction of crudely built houses on small lots with a lack of amenities such as schools, parks and playgrounds. Working-class neighborhoods were notable for their congestion and grim appearance. Although Stan Hywet stood as a symbol of the traditional elite, the Seiberlings used their passion for the natural world to soften the harsh realities of the tumult that existed elsewhere in their community. Gertrude Seiberling founded the Akron Garden Club in 1924 and also helped to coordinate similar efforts across the country. 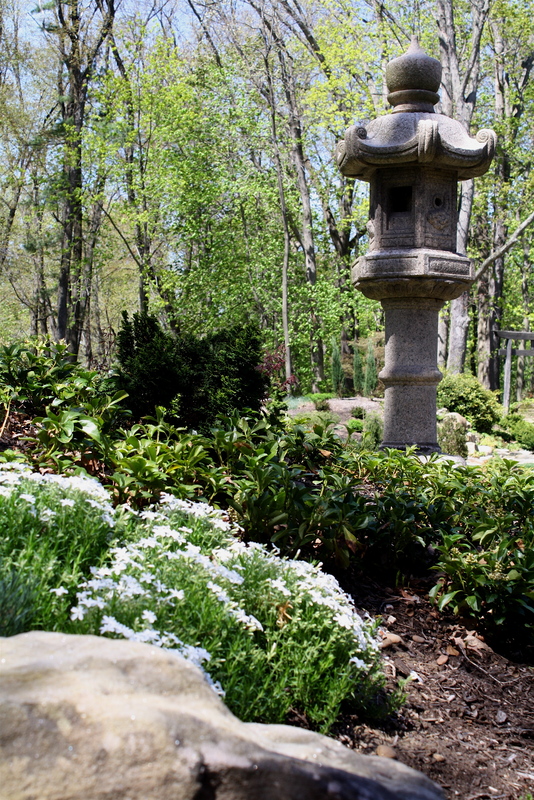 The exquisite gardens on the Seiberling estate served as inspirational settings for her various gatherings. F.A. complemented his wife’s efforts and became an influential member of the Akron Park Board where he convinced the board to employ Frederick Law Olmsted Jr., the son of the renowned designer of New York’s Central Park and an accomplished landscape architect in his own right, to create a master plan for the community as he had also done for the city of Cleveland. F.A. donated the hillsides on the northern edge of the estate and Sand Run Creek to the Akron park initiative. His gift was the first major tract of land given to create a metropolitan park in the area and some of the most beautiful landscape in the Akron system. John F. Seiberling was the grandson of F.A. and Gertrude Seiberling and lived in the Gate House at Stan Hywet with his father Fred Seiberling and mother, Henrietta. During his formative years on the Seiberling estate, John learned about the natural world from his father, Fred Seiberling. In his biography by Daniel Nelson, A Passion for the Land, Seiberling recalls one particular spring morning in 1926 walking through the woods with his father and sister. Fred “told us the names of the different kinds of plant and trees as we went along…It was a magical, eye-opening experience. It left me with a new, conscious love of nature.” He also developed a strong sense of ethics and an appreciation of culture from his mother. However, at that time, he knew very little about the world beyond the boundaries of the estate. Twin Tea Houses overlooking the Quarry where the family enjoyed water sports. His parents, with the backing of F.A. and Gertrude, decided he should attend Staunton Military Academy, a college preparatory school in Virginia. There, he grew into a studious young man. He graduated as an honor student and although three of his uncles were Princeton alumni, he attended Harvard instead. Seiberling flourished in Cambridge and was fascinated with history. The influence of several notable professors, combined with the liberal atmosphere of the university, convinced him of the possibilities of an activist’s role as an agent for change. He graduated from college as a New Deal Democrat and enlisted in the army to serve his country. The destruction of Europe and the great losses incurred during World War II made a lasting impression on Seiberling. He emerged from the war a decorated officer with an expanded worldview. Upon his return to the U.S., he attended Columbia Law School on the G.I. Bill, graduated with honors and then joined a leading Wall Street law firm. He was married and started a family, settling into big-city life, far from the green-carpeted hills of the Cuyahoga Valley. During his time in New York, John longed for the green spaces he remembered from his youth and took up downhill skiing and photography to fill the void. He vacationed out west and developed a passion for the Sierra Nevada and the Rockies, beautiful landscapes that strengthened his commitment to wilderness preservation in later years. In January of 1954, John accepted a position as a corporate attorney for Goodyear and was drawn back to Akron and the extended Seiberling family. While the city was relatively unchanged, the same could not be said for the state of Seiberling family affairs. Gertrude Seiberling had died in 1946. F.A. continued to live on the estate in poor health. By the late 1940’s, the Seiberling children expressed concern about the future of the estate and began to discuss their options. The personal fortune that had created Stan Hywet was depleted by this time and none of the family members were able to afford the upkeep of the property. 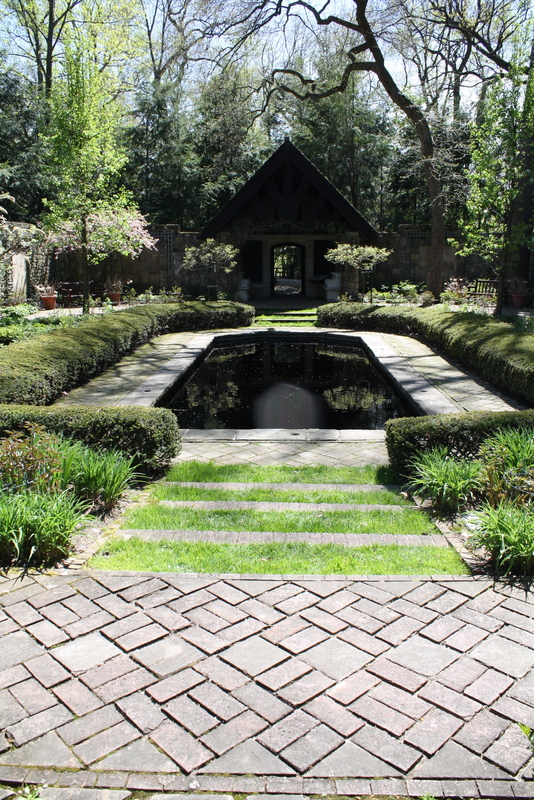 With incredible sacrifice, the family agreed that Stan Hywet should pass into the public realm and be made useful to the community, according to their parents’ wishes. The death of F.A. Seiberling in 1955 marked the end of family occupation of Stan Hywet Hall, but only the beginning of a family legacy that would last to the present day. The Seiberling’s presented their dilemma to the community who responded with great interest. A group of volunteers was assembled to study the feasibility of converting the estate into a museum. On April 29, 1956, the Stan Hywet Hall Foundation and a board of trustees were formed and the estate became a non-profit entity. John Seiberling handled much of the legal work for the foundation for many years and became a strong advocate for the preservation of many similar buildings of historical significance throughout the country. During those years, he and his family lived on 18 acres a few miles north of the original Seiberling estate in the town of Bath. His neighbors were actively involved in efforts to save the Cuyahoga Valley from developers and environmental degradation and introduced him to their cause. John Seiberling became passionately involved at this local level, fueled by fond memories of the forests and fields he had experienced in his youth. In 1968, Seiberling decided to run for Congress, partially in opposition to the Vietnam War, but also with the conviction to reform Congress and ensure that public resources were directed to domestic issues. Seiberling used his position in Congress to push through legislation that would not only save the Cuyahoga Valley, which would eventually become Ohio’s only National Park, but he was also instrumental in creating 100 million acres of parks and wildlife refuges in Alaska and additional protected lands in national forests across the United States. As Chair of the House Subcommittee on Public Lands, he helped to create urban parks and promoted wildlife protection as the best approach to public land management. Today, the Cuyahoga Valley National Park (CVNP) encompasses 33,000 acres between Cleveland and Akron and is one of the most visited parks in the system with over two million visitors each year. Outdoor recreational opportunities include biking, golfing, hiking, skiing and riding on the Cuyahoga Valley Scenic Railroad. The park is the summer home to the Cleveland Orchestra at Blossom Music Center, which also hosts a variety of concerts featuring rock, jazz and country music in an open-air amphitheater and sweeping lawn that together can accommodate over 19,000 people. 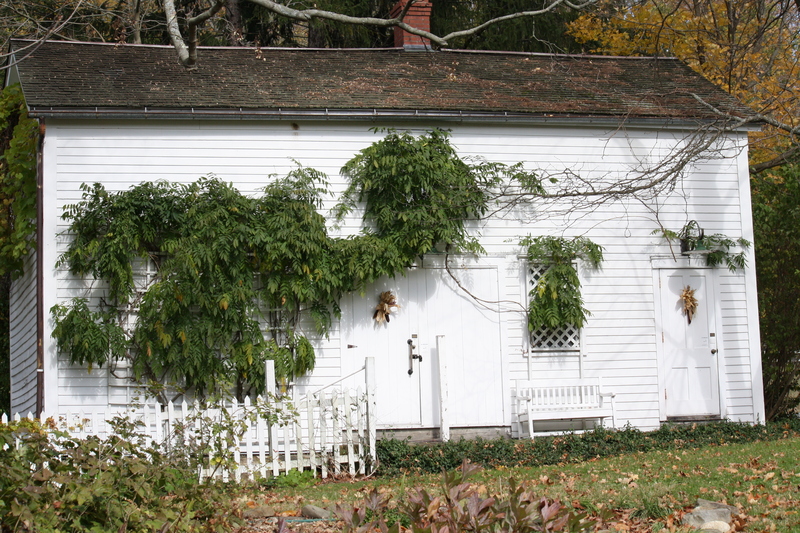 Historical buildings and structures have also been preserved within the boundaries of the park, such as Hale Farm & Village, remnants of the Ohio & Erie Canal and working farms that represent the rural heritage of the Cuyahoga Valley. In 1999, the CVNP established “The Countryside Initiative” to rehabilitate historical farms within the park, supporting a new generation of farmers and also educating the general public on the history of the family farm. 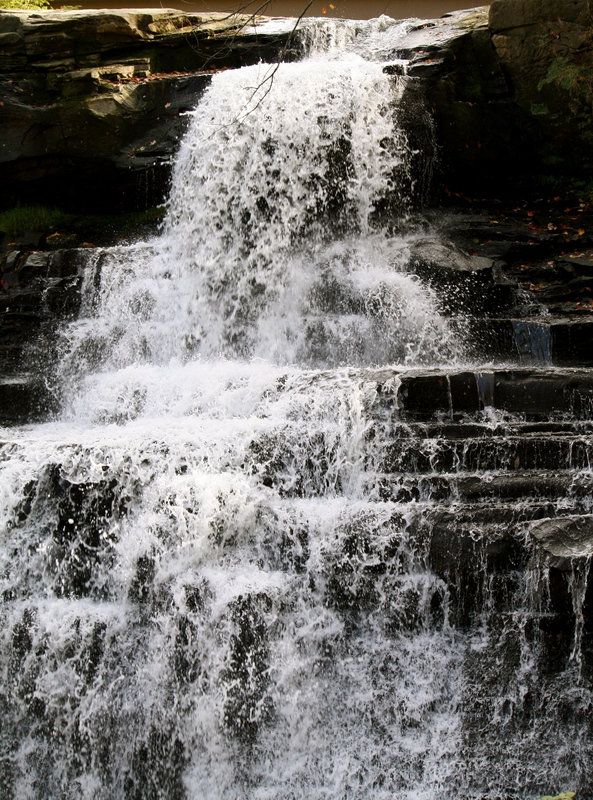 Most importantly, the land, its habitats and cultural elements have been preserved and offer a unique glimpse into the origins of the Cuyahoga Valley and also the growth of our nation. From the glacier-scarred landscape before settlement, to early farming efforts of the nineteenth century, as well as the developments of our transportation infrastructure and modern day recreation facilities, the natural and cultural history of the area is protected for all to experience, explore and enjoy. Stan Hywet Hall & Gardens still stands just beyond the southern border of the park and is open to the public. The Seiberling flagship is a symbol of the past, but with a renewed present-day purpose. Set on 70 acres amidst a sea of rhododendron and flowering trees, the Manor House remains “a place with something for everyone”, just as the Seiberlings envisioned it, and maybe even more than they could have imagined. 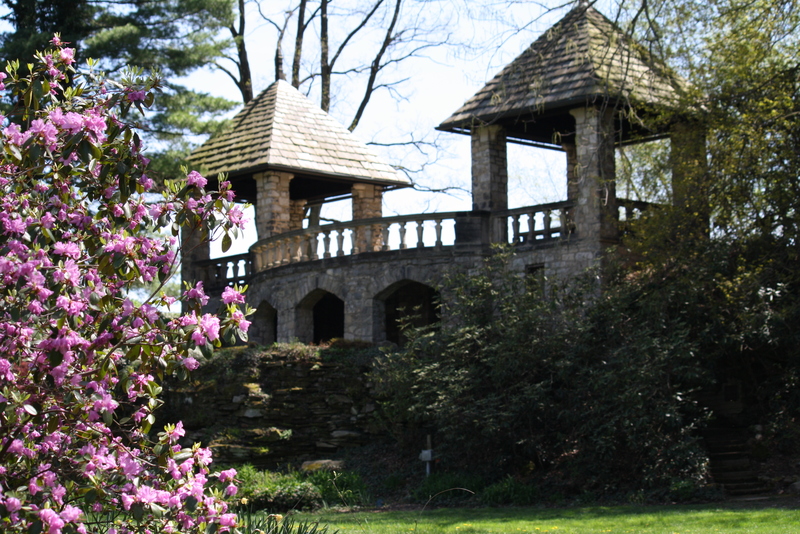 Stan Hywet has become a center for programs emphasizing nature and the virtues of outdoor activities, with a variety of exhibits that highlight the historical, cultural and horticultural aspects of the early 20th century. However, it is more than just a museum. 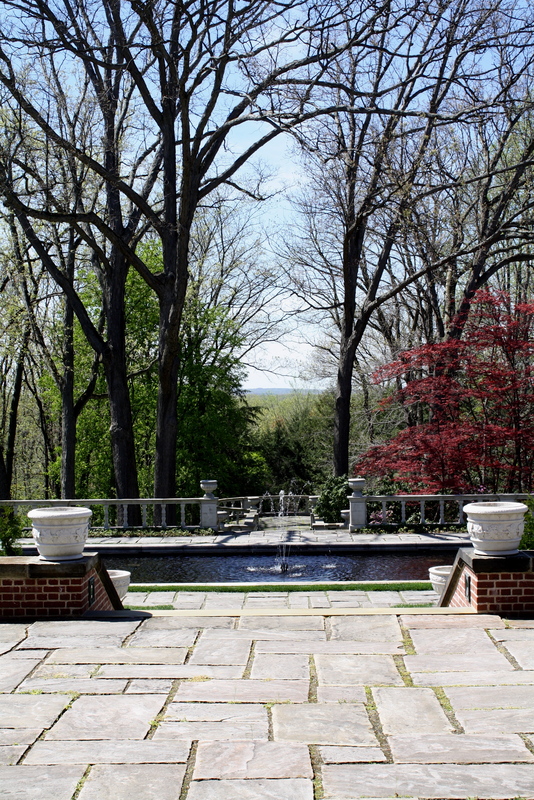 Couples come to the estate to exchange wedding vows in the Dell, or the English garden or on the West Terrace & Overlook. Shakespeare is still performed on the grounds in an outdoor theater near the Lagoon. Children play on the Great Lawn and search for hidden treasure in a game called “geocaching”, using GPS technology and portable hand held devices. Teachers bring students to the estate to learn about a variety of subjects, including science, local history, literature and more. Each season, visitors come from near and far to experience the legacy that the Seiberlings left behind. As I stood at the front entryway on a recent visit to Stan Hywet Hall, I glanced up at the visionary statement etched into the family crest nearly a century ago. “Non Nobis Solum” (Not for Us Alone). I stepped across the threshold and my gaze was immediately drawn past the finery of the Great Hall and through the open rear door to the vista of the Cuyahoga Valley. I was reminded that, in word and deed, the ideals that inspired one family to make a difference, are as relevant today as they were then. Their passion for nature has truly been a gift bequeathed to us all.